Krewe of Kolossos was proud to debut this queen bee for Carnival, 2015 in the Krewe of Muses parade in New Orleans. Named for the delicious Satsuma oranges found in New Orleans. The krewe is proud to help raise consciousness of the plight of honey bees. 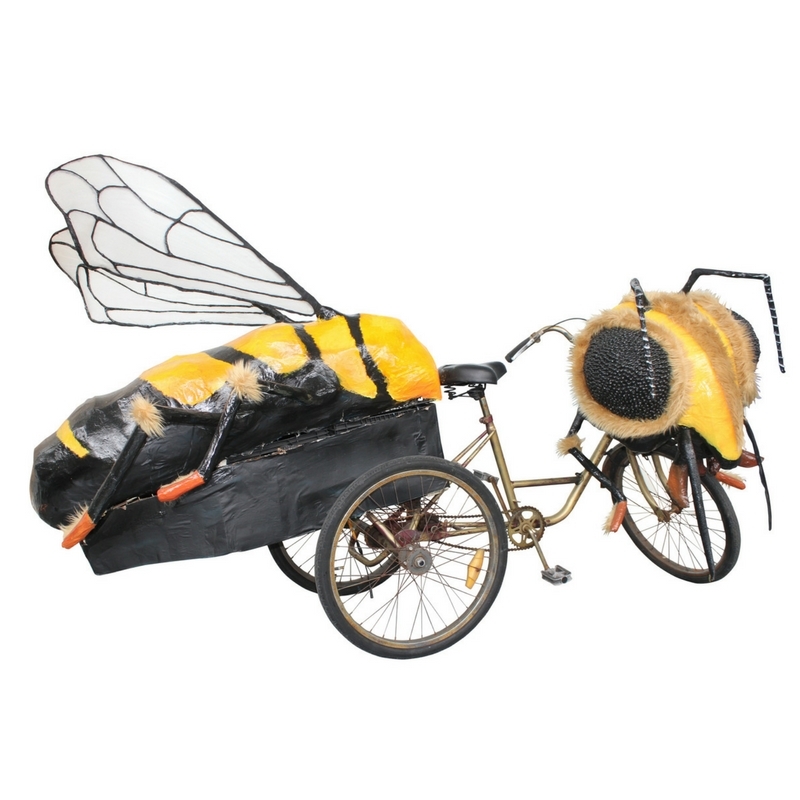 This queen bee was made from a variety of post-consumer waste including eyes made from Mardi Gras beads, antennae made from wire hangers, milk crates, foam pool noodles, newspapers, yellow pages and much more. If you would like more information on booking the honey bee, please contact Katrina Brees at kreweofkolossos@gmail.com or (504)905.2830. Krewe of Kolossos’ Queen Bee art bike. At the studio in New Orleans, Louisiana. Presented for Mardi Gras parades, events and film.